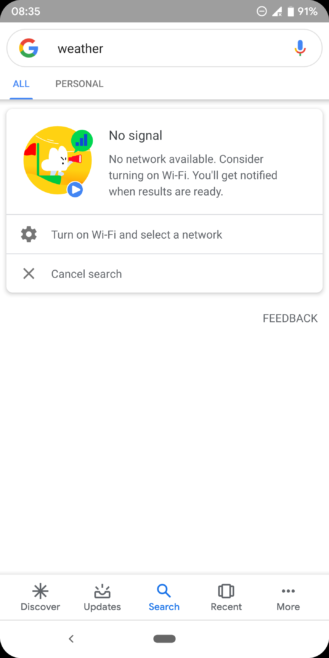 If you perform a search from the Google app (or widget) while offline, you will see a new animation inciting you to tap to play. Once you do, the game goes fullscreen, and you're now in charge of a cute cloud, with hands and feet, holding a yellow umbrella. 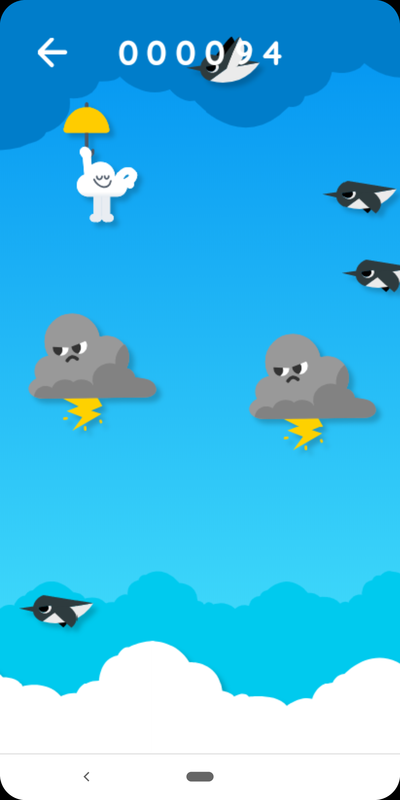 The cloud is floating away, but there are evil birds coming its way, and evil clouds with thunder, and then more evil clouds that float up quickly. 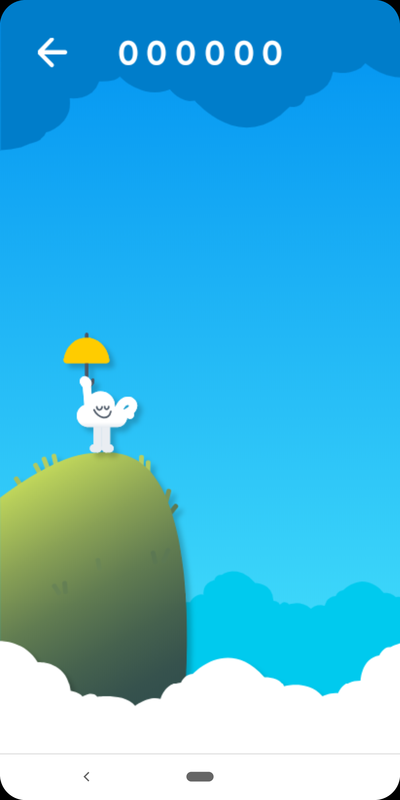 I'm not sure what our protagonist was thinking venturing in such a perilous environment, but it looks like a naive cloud and it's our job to tap, tap, tap, to save it. 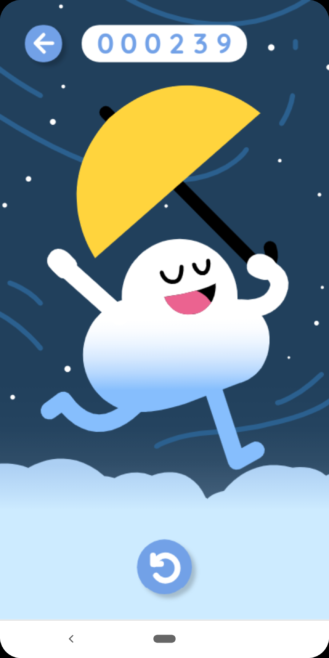 The umbrella can avoid a few deadly collisions, but things get really crowded really quickly in that sky and, sooner or later, your innocent cloud will hit something dangerous and die. Still, it keeps its cheerful smile. The game, which I'm dubbing Floaty Cloud, appears to have rolled out in a recent version of the Google app. I can see it on v9.46.6.21, but it should also be there on newer releases. You can grab the app from the Play Store below or the latest beta v9.51.7 from APK Mirror.